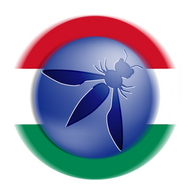 Az OWASP helyi tagozata az alkalmazásbiztonság ügyét képviseli és népszerűsíti Magyarországon. A tagozat szereplése és hatása a mellette kiálló közösségen, azaz rajtad is múlik! OWASP (owasp.org) is a leading worldwide professional organization for application security activists. It is well known for its free projects maintained by volunteering specialists – Top Ten, Testing guide, ASVS and SAMM are among the flagship projects. "OWASP is a new kind of organization. Our freedom from commercial pressures allows us to provide unbiased, practical, cost-effective information about application security. OWASP is not affiliated with any technology company, although we support the informed use of commercial security technology. Similar to many open-source software projects, OWASP produces many types of materials in a collaborative and open way."